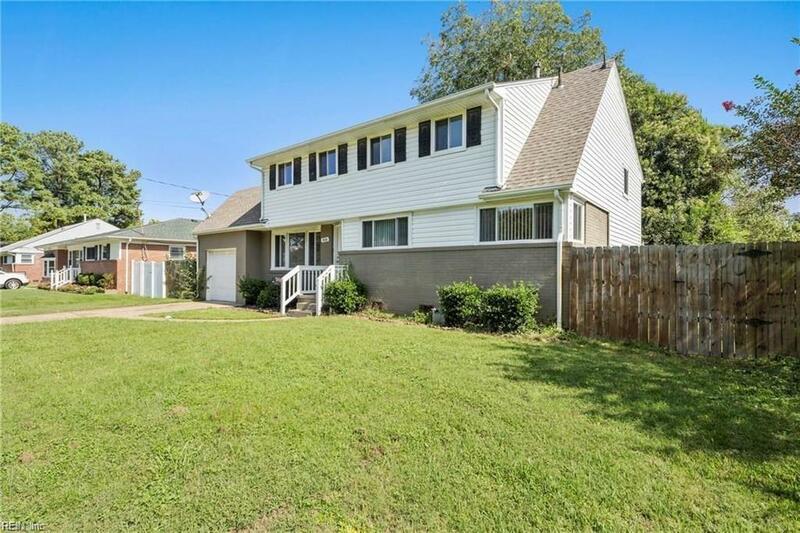 416 Saddle Rock Rd, Norfolk, VA 23502 (#10236297) :: Abbitt Realty Co.
Well maintained split-level home in an established, quiet neighborhood. Is a must-see! Downstairs features 2 bedrooms (or 1 bed/1 office) plus a large rec room and garage access. The main floor is the living room, dining room, and kitchen. The 3rd level is 3 bedrooms and the master suite is upstairs on the 4th level. Large backyard. Playground equipment does not convey. Near 264/64 interchange.